In tough economic times, loan sharks rub their hands with glee, as more and more people turn to them to help them out of their money troubles. But loan sharks are predators, both unregulated and unscrupulous, and you could end up repaying far more than you originally borrowed. Here’s a guide to help you avoid become prey for loan sharks. How Do Loan Sharks Operate? To put it simply, a loan shark is anyone who lends money without holding an official licence to do so from the Office of Fair Trading (OFT). Most loan sharks operate in remarkably similar ways. They offer loans to people who usually do not have any other options. If you borrow money from a loan shark, chances are that your won’t have signed a lending agreement or any sort of paperwork, which will make it notoriously difficult to keep track of your repayments. Because loan sharks are unregulated and operate outside of the law, they are free to make up their own loan terms. There’s a strong likelihood that the rate of interest you repay on your loan is far higher than you would expect to pay from a conventional lender or high street bank. Some loan sharks also charge extortionately high penalties if the borrower misses a payment. Even worse than the financial penalties associated with loan sharks, are the methods they use to extract payment. Loan sharks frequently resort to violence and intimidation to ensure that customers keep up with their repayments. They also often try to pressure their customers into increasing their loans to help them repay the original debt, while continuing to charge ever higher amounts of interest. Sexual assaults are also commonplace, and some borrowers have even committed suicide because of the intimidation from loan sharks. Loan sharks often try to convince their ‘customers’ that the arrangement they have made is against the law, and that they could be in trouble with the police if they attempt to report the loan shark. Borrowers should be aware that while the loan shark is acting unlawfully, by trading without a licence, there is nothing illegal about borrowing money, so you do have the right to go the police if you need to. Loan sharks tell their borrowers that they have no alternative but to keep up repayments as agreed, for as long as the agreement is in force. Of course, that’s what they want you to think. Any loan made by someone without an OFT trading licence is considered by law to be ‘unenforceable’, so you are not legally obliged to pay it back. Whatever your financial situation, getting involved with a loan shark is not the answer, and is a sure-fire way to make your financial problems snowball. A loan from a loan shark is, on average, three times more expensive than a loan from a reputable lender. Interest rates of between 1000% and 10,000% have been reported. First, if you have borrowed money from a loan shark, you can get help. The Government has set up a national helpline for victims of loan sharks. Anyone affected should ring 0300 555 2222 or send a text message with the subject ‘loan shark’ to 60003. All calls are completely confidential. However, if you have been threatened in any way, you should report it to the police. 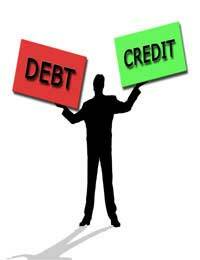 You can also check whether a lender has a licence by contacting the consumer credit public register on 020 7211 8608. This register holds the details of any lender with an OFT licence.